Some of our theatre sessions are open only to an invited audience, while others are open for any delegate to book a place. The application window to lead theatre sessions has now closed, and we are reviewing applications. 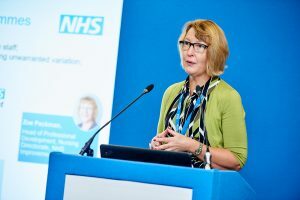 Successful theatre session bids will clearly show how the presenters will engage with their audiences in a meaningful way, and how this engagement will be used to support the implementation of NHS Long Term Plan priorities. Pop-up university workshops take place in smaller rooms separate from the main conference hall, seating a maximum of 60 people. The application window for Pop-up university is now closed, and we are now in the process of assessing applications. We aim to respond to all applicants in early June 2019. 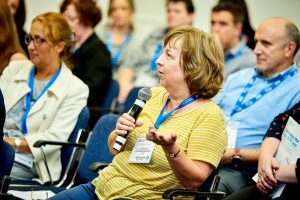 These sessions allow a bite-sized introduction to a single area of improvement practice, and aim to equip attendees to make similar improvements in their own teams and organisations. Sessions are 60 minutes in length, including at least 15 minutes dedicated to audience interaction and Q&A. A clear focus on a single area of improvement practice that can be replicated across other organisations and specialties.